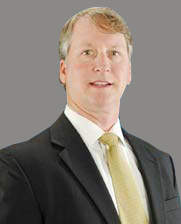 Walt Busbee brings over 21 years experience in the generic pharmaceutical industry. Prior to joining Jubilant Cadista, Walt worked for Qualitest Pharmaceuticals with increasing levels of sales and management experience. His roles included Regional Sales Manager, National Account Manager, National Sales Manager, and Director of Sales. Walt brings a successful history of sales and management excellence as well as a strong knowledge in the retail, wholesale, GPO, and Federal government markets. Walt received his BA in Political Economy and Philosophy from Wofford College in Spartanburg, SC. He joined Jubilant Cadista Pharmaceuticals in April 2016.